Card Payments. with card complete. The mPOS Terminal from card complete enables card payment. It can be effortlessly connected with ready2order. Suitable Hardware. right at your feet. Select the hardware you need. Whether you need a printer, a tablet, a cash drawer or receipt rolls- you find everything your need to run your business in our online-shop. FAQ. concerning our POS system. Can I print receipts with my free trial? As long as you have a free trial, invoices aren't financial-conform. Compliant receipts can only be provided when you go live and decide to use one of our plans. What types of payment can be processed with the POS? You can choose from different types of payment such as: Cash payment, vouchers and card-payment. 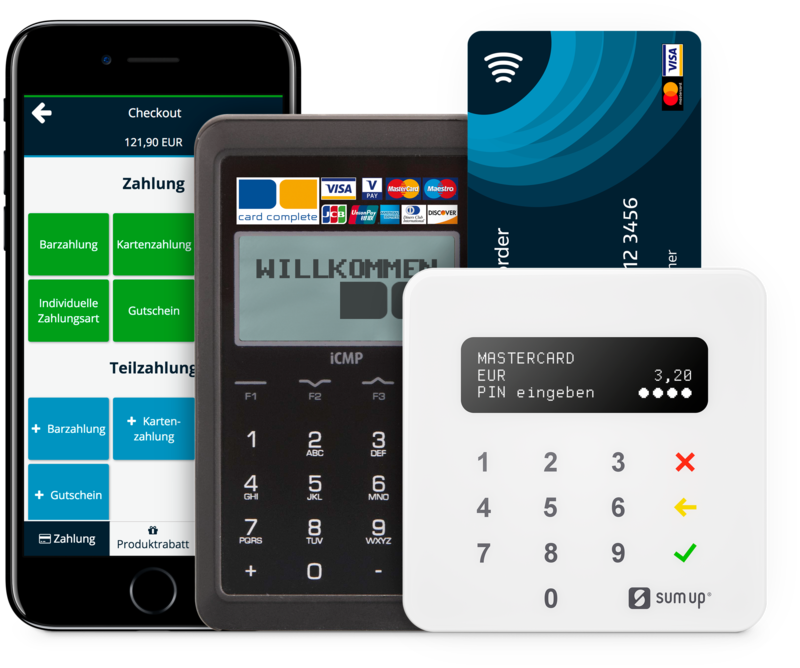 For the latter you can connect the mPOS terminal of card complete. Do I need one or more licenses? You only need one license, if your employees are using the system at a different time. If your employees use the POS system at the same time, you need multiple licenses. The first additional license costs 25€ and every further license 19€. This would be the case, if more than one employee is equipped with a smartphone or tablet and is simultaneously creating invoices in the system. If you're registered you can log in via ready2order POS-App or via the web browser on ur.ready2order.at. ready2order can be used on every operating system, since the access to the POS system is possible via the web browser. 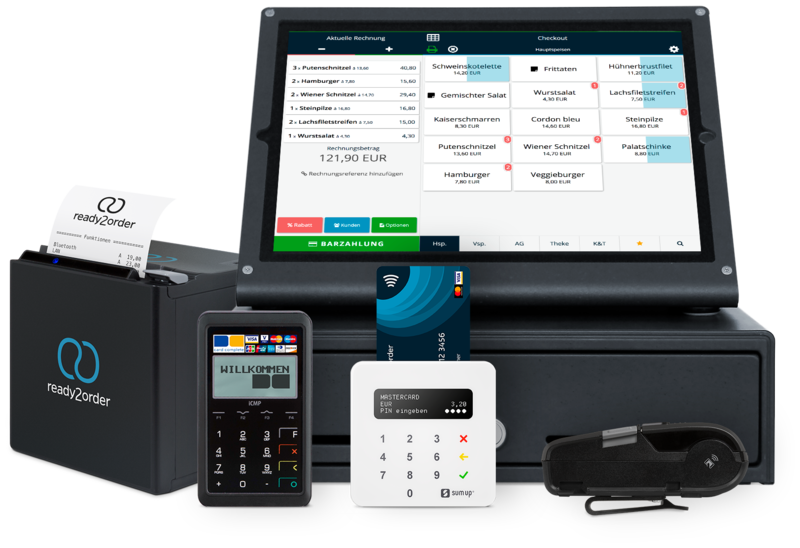 The ready2order POS-App is available for Android, iOS and Windows 10.